Prominent & Leading Manufacturer from New Delhi, we offer car ambassador. 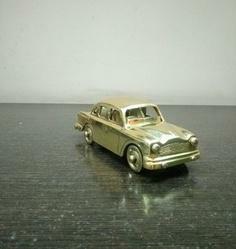 This car is a replica of the first indigineous car manufactured in India by Hindustan Motors. It has been proved a robust and very sturdy car on the road while driving and still enjoys the same reputation across the Globe. This car has won many Awards & crtificates from different organisations across the world for its smooth driving, solid structure and easy maintainence. It is made of Brass and is must possession for all art lovers.